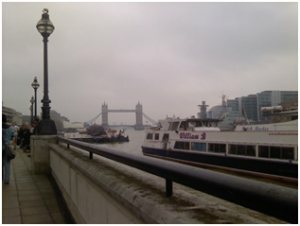 Set right in the centre of London a mere stone’s throw from Tower Bridge the Old Billingsgate provided the perfect venue for the expo and I strolled past the massive queues to get in I was genuinely excited. 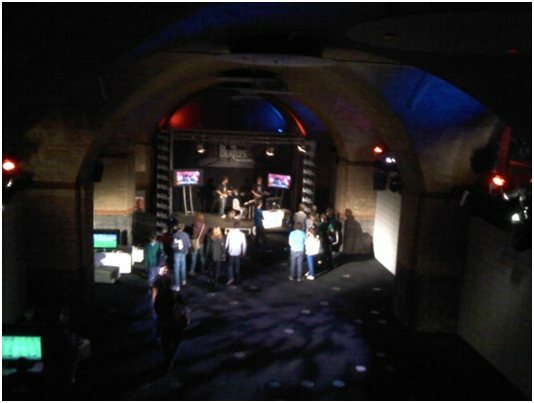 Even by the time I arrived (at 5 minutes past the opening time of 11am) all stations were occupied, and that is taking into account that there were 3 floors of gaming goodness on offer with the most popular games residing on the ground floor, some of the games already out on the market down in the very atmospheric basement (including a stage for the Beatles Rock Band) and the PSP Go cafe looking down on all of this where you could have a good play on Sony’s latest console. Added to this the developer sessions and it was really a good job that this was held in a very expansive venue (i.e. an old fish market) — and despite the numbers, it was designed so well that it never felt overly crowded. Whilst I didn’t manage to have a go on all the games due to time/availability limitations, but there was still the opportunity to check some of the best out there: RedSteel 2, Avatar, Assassin’s Creed 2, Need for Speed: Shift (both normal gameplay and using the Nvidia 3D system), Batman: Arkham Asylum (using Nvidia 3D), FIFA 10, Halo 3: ODST, Brutal Legend, MAG, Lost Planet 2, Professor Layton and Pandora’s Box and some strange Wii racing game! I also had the opportunity to have a good look at some of the others and see how people reacted to them, and although I found the queues to be very short for most things, those that were long (most notably Assassins Creed 2) were definitely worth the wait! It was also great to be able to have a chat with some of the people from the games manufacturers, and whilst there weren’t all that many, the people from Ubisoft at the Assassin’s Creed 2 stand and the guys (sorry, one guy and two scantily clad women) at Nvidia were more than happy to have a chat and answer a few questions. Overall it was a great day, and you can expect a few posts in the near future giving a more in-depth look at some of the games and technologies that were on show. My only real disappointment was the over-popularity of the developer sessions, as despite the fact I turned up half an hour early for the Left 4 Dead 2 one from Valve I was still far too late to get a seat! 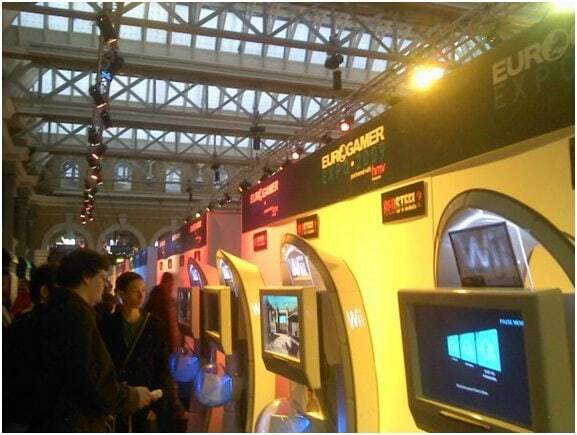 But that really was a minor qualm and I would thoroughly recommend the Eurogamer Expo to people for 2010. So on with the games, and we’ll be starting with two fairly dissimilar ones in the form of ‘Avatar’ and ‘Professor Layton & Pandora’s Box’ which were played on the PS3 and Nintendo DS respectively! 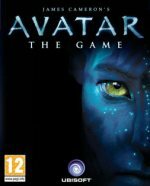 Firstly we have Avatar, the game spin-off from the yet-to-be-released film, which was one of the more popular games on offer. Following roughly the same story as the film (or at least I imagine it does, I didn’t play the whole thing!) 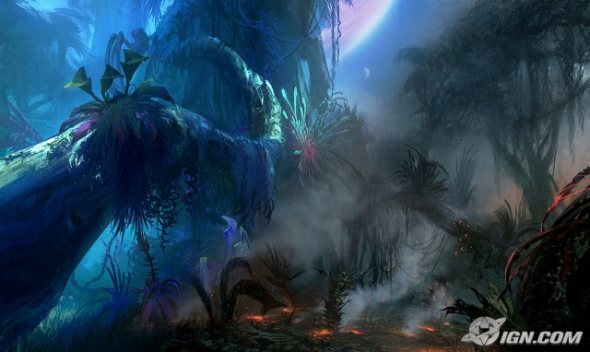 it’s set in the lush rainforest-like environment that is the planet Pandora and that is probably the most impressive feature in the game: the world it’s set in manages to feel both expansive (with massive surprisingly realistic trees looming in the distance) whilst not letting you walk forever in the wrong direction which is quite nice. As far as the actual action goes it starts off well with a nice selection of weapons, a neat system for choosing them and a well-integrated PDA feature which allows you to identify enemies from a distance. However these ‘enemies’ are invariably plants or animals (which don’t quite result in the same ‘satisfaction’ from killing something intelligent! ), but when some good old fashioned human (or alien) AI get involved that also proves to be one of the strong points in the game. Far too often in these kinds of games, the other people on your ‘team’ are really only there to pad out the game and become more of a hindrance than a help. But in Avatar I have to say I was impressed with the ‘intelligence’ of the AI as they didn’t seem to run around aimlessly, and were some help. But by far the selling point of this game will be its 3D capabilities which you will be able to make the most of with a combination of your Xbox 360 or PS3 console and a 120Hz capable stereoscopic enabled TV with HDMI output — and although I didn’t get a chance to check this out at the Expo the word is that it’s done very well, and really adds to an already pretty good game! My only minor qualm would be the irritating way in which you have to shoot lots of little buzzing, flying or ‘scampering’ creatures with the painfully inaccurate analogue sticks, but I’m sure that’s just a personal preference (as a PC fan!) and that those more experienced than myself would be more than capable of managing it! 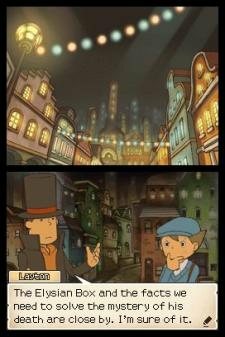 Next, I thought I’d look at Professor Layton and Pandora’s Box, which although has been released for a while I haven’t been able to see if it lives up to the hype, and I have to say that unlike Avatar I was somewhat disappointed. Firstly I think it’s probably only fair to point out that it did suffer from being surrounded by more action-packed games on far more developed consoles, but despite that, I felt pretty underwhelmed. The game moved painfully slow and having to wait for everybody to say things were to time intensive I took to looking through the show guide whilst waiting. When the puzzles did come they were fiddly, pretty simplistic and ultimately pointless and I felt a certain degree of apathy towards the professor and whoever he was trying to save. Despite all this I do think it is an alright game, and the reason for this is that it is not aimed at me — despite the fact I know it’s bad for me I like games with fast cars, guns, blood and cheesy one-liners and I really don’t have the time or the attention span to sit down and look for a hidden key in a wardrobe. I’d much rather watch some Russian Mafia guard lose his head to a sniper bullet. But that’s just me! 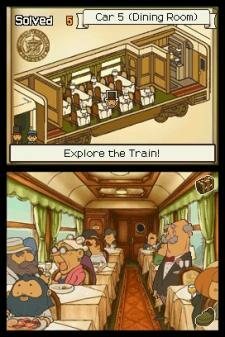 However despite my obvious moral deficiencies I can see how this game could be enjoyed by people both older and younger than me, and I think that if you have the time to sit down and get stuck into the story it may grow on you much like the first game; Professor Layton and the Curious Village did with one of our other games writers; Ender. 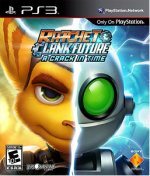 First up we have Ratchet & Clank: ‘A Crack in Time’, that’s right everybody’s favourite Lombax and robotic compatriot is back with more weird names, tongue in cheek humour and light gameplay that have made it a success in the past. But does it live up to the precedent set by previous games? Definitely. The reason this surprised me was that it had been a while since I had sat down and played an R&C game, and to be brutally honest I was anticipating that as I had grown up I would have left them behind and it would really be a reappointment. 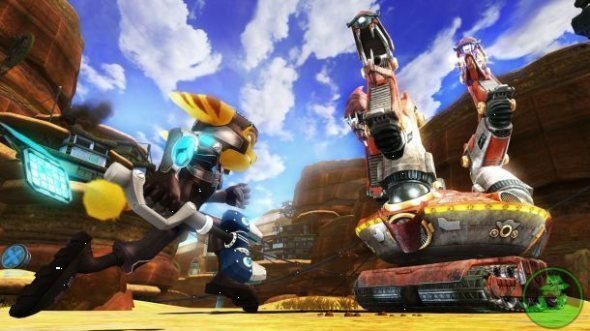 But really there is a winning formula that the makers have totally nailed which means no matter how many times you play, no matter how old you are you will always appreciate smashing up boxes, robotic soldiers and small aliens with a wrench. That is not to say the game is in any way solely one dimensional, rather that it continues on the strengths of previous games with a genuinely involving plot, more puzzles and weapons to get your head around and a slightly differing gameplay allowing you to fly your ship around to planets of your choosing (to complete side missions etc) which is a nice addition and can help to break up the monotony of too structured levels. Oh, and it’s funny, which is something much lacking in the wealth of serious games around at the moment. So if you’ve played R&C games in the past and think that this will just be a repeat your kind of right, but that is no reason not to get the game as it’s as great as it was when it was originally released in 2002. And if you have never played it before, why not? 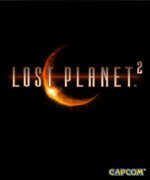 And now for something completely different: Lost Planet 2. 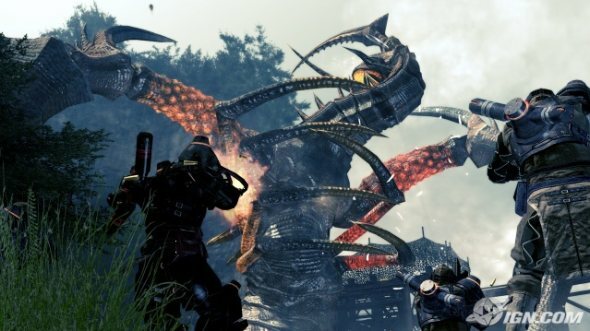 Having played the original (Lost Planet: Extreme Condition) but so long ago I’d kind of forgotten what it was all about I came at it not really knowing what to expect, and it was great. Set 10 years after the previous game, it’s set on the same fictional planet — although now the snow that dominated the last game has melted revealing a lush and expansive jungle world ready to be fought on over T-ENG (thermal energy). Whilst I cannot comment on the main 1st player part of the game I did have the opportunity to play on the multiplayer mode with 7 other willing volunteers (not to be confused with the 4 player co-op which will also be available) and once you’ve got your head around the slightly confusing acronyms and wealth of customisation (and that didn’t include things like body colour which will be available on the full game) you were ready to be launched into the world of Sci-Fi FPS. The single player campaign will have a more varied formula than the previous game and will focus on six different characters which you will play in different ‘episodes’ and whose stories will combine at the end. Unsurprisingly enough these different characters all represent the different classes that are available in the multiplayer mode, and it was this that I was able to play on and enjoy. 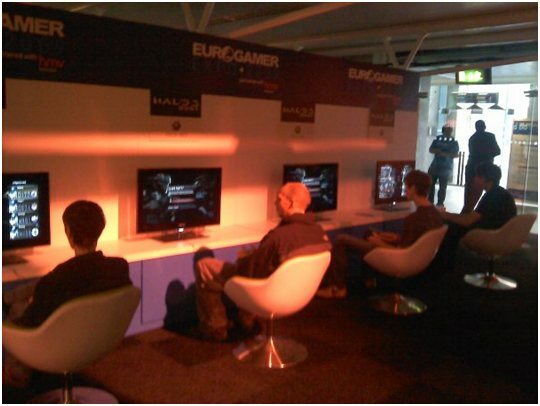 The first thing I noted, and this appeared to be a common theme at the Expo with games like Avatar and Assassins Creed 2, was that a lot of work had obviously been done on the environment which was both very impressive visually and easy to navigate around which was great for a beginners of the game such as myself (having said that my team did win!). I don’t know whether it is the only method for gameplay but the one selected at the expo was a ‘control point’ one, which similar to most out there offered a variety of points to be fought over and captured, and it did work very well even with the relatively small numbers we were playing with and the variety of turrets (and strange large armoured suits) which is a credit to the game. As far as actually playing the game goes that’s where I was most impressed — it was smooth, easy to get the hang of and most importantly very fun, and although it would be a jump to say there was a wide range of weapons (seeing as I didn’t get a chance to check out the whole range) there was certainly enough variety to keep you interested! So overall the multiplayer was very impressive, and I’d of thought this trend will continue with the single player option — although we’ll have to wait until February when the full game is released to see whether or not Capcom manages to pull it off!